CHESTER — Mary O. (Nalley) Nelson, 96, went home to be with her Lord and family at the Stone-Pear Pavilion in Chester on Sunday, June 3, 2018, where she had resided the past 13 months. Mary lived in the Chester-Newell area all her life. 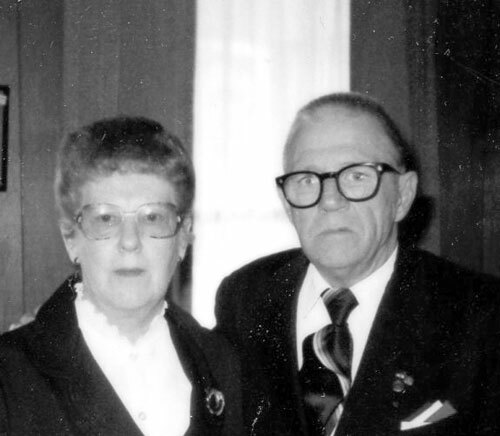 She was born on Feb. 4, 1922, in Friendly, W.Va., and raised in Lillie, W.Va.
Mary worked at the Paden City Glass Factory until she married in 1945, when she became a homemaker and mother. She was a member of the Virginia Avenue Church of Christ in Chester and she was a member of the American Legion Post 121 and VFW Post 6450 auxiliaries. She was preceded in death by her late husband, Elmer T. Nelson; her mother and father, Martha Knowlton Nalley and Lawrence (Bert) Nalley; a sister and brother, Rena Fluharty and Ceril Nalley; and a nephew, Adam Haught, who was like a little brother. Mary is survived by her son and daughter-in-law, Gary and Vickie Nelson, and one grandson, Adam, all of New Cumberland; two nieces, Linda Haught Hays of Friendly, and Judy Haught Kemp of North Carolina; two nephews, Bobby and Kenny Nalley of Sistersville, W.Va.; her niece, Sharon Brookes Woodruff of Chester; two nephews, Richard Brookes of East Liverpool and Dave Brookes of Salem; and 13 great-nieces and -nephews, and 19 great-great-nieces and -nephews. Evangelist Ricco Brown will celebrate Mary’s life at 11 a.m. Thursday, June 7, 2018, at the Arner Funeral Chapel. Interment will follow in Locust Hill Cemetery. Visitation will be 2-4 and 6-8 p.m. Wednesday. The Nelson family would like to thank the Stone Pear Pavilion and all the staff for doing a wonderful job of taking care of my mother, thank you from the bottom of my heart.